No idea where to go for massaging in Batam? Majesty Spa & Massage Center is one of the best place to visit. It is located right opposite Nagoya Hill shopping mall. The shop looks cozy from the outer look. My first impression to this shop before visiting is that Majesty must be having higher fare rate of massaging and spa. 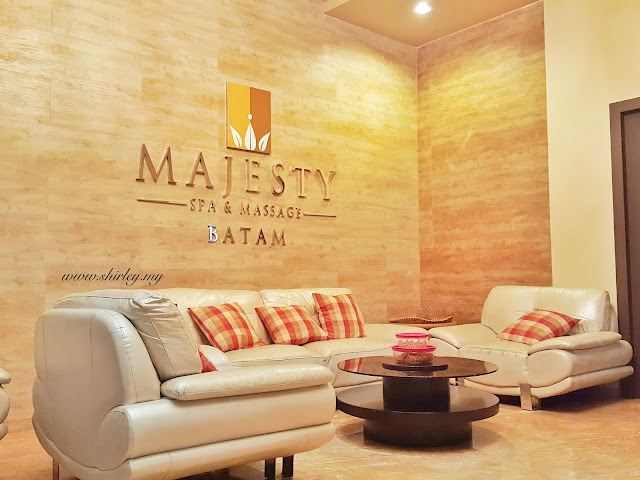 However, due to we did not make any reservation for our massage session in Batam, so we are actually very worried that every massage centres might be fully booked. Plus the taxi driver keeps on mentioning that we must make reservation earlier and he even stops by a massage centre nearby Nagoya Hill shopping mall. However, we do not go for his recommendation. I would like to give you some advise that you may not follow as what the local tells you. They actually get commission by sending you to visit some places such as laye cake shops, chocolate shops, massage centre, etc. I spot Majesty from Nagoya Hill shopping mall entrance. So, I try to search from internet to get information to make a call to Majesty. Finally, I manage to make a booking at 9.30pm. They provide fetching service too. Just let them know which location to fetch you and they will send a car to your location. After massage, they are also providing service to send you back to hotel. I have my dinner at Wey Wey Seafood before my booking time, so when the time reaches, you will see the restaurant's staff holding a paper of your name and walking around the restaurant. You can feel like a VIP where a big car is coming to fetch you. When you reach the receptionist in Majesty, the friendly staff will show you 2 menu lists for your selection. I have chosen the 3 hours package of Bali Thai Combination Massage which costs Rp380,000 (RM120) per pax. You can pay by either cash or credit card. After making payment, we are brought to legs cleaning. The lady takes my shoes and has them locked in a drawer. The key is then passed to me. I am then brought to a massage room at level two. I was so surprised that there is a bathroom inside the room, it really looks like a hotel. 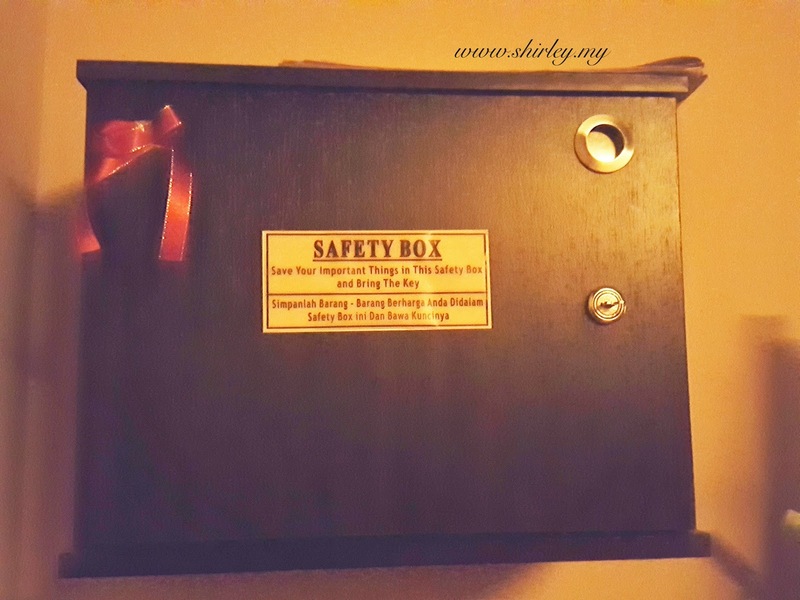 There is a little safety box for me to keep my valuable stuffs, thus I place my mobile phones and purse into it. Well, let's get start with massaging. Bali style massage is slightly different compared to Thai massage. Yet, it is very relaxing and I feel so comfortable with their services. It ends at around 12.30am at midnight, it's so late already. I am then get myself bath before leaving the room. It is so nice to bath at here, it might sounds weird for you that why don't I go back hotel to bath. Anyway, there are shampoos provided at here and I just can''t stop myself to enjoy my bathing at here instead of bathing at my hotel. You know right, the shampoos provided at the hotel are always not so nice to use. I am so impressed with the services provided by Majesty. Food are provided at the lobby to serve customers after massaging. Drinking water is not served in the room while massaging so I feel so thirsty after that. So, I get myself few cups of warm water. 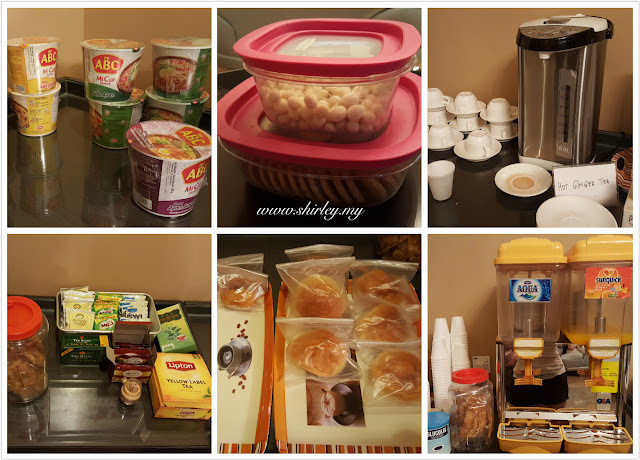 There are plenty of food provided such as fried rice, mee cup, biscuits, breads, coffee, etc. If you have no idea which spa & massage center to go with, I would suggest you to try this out! You will not regret on what you have spent over here. 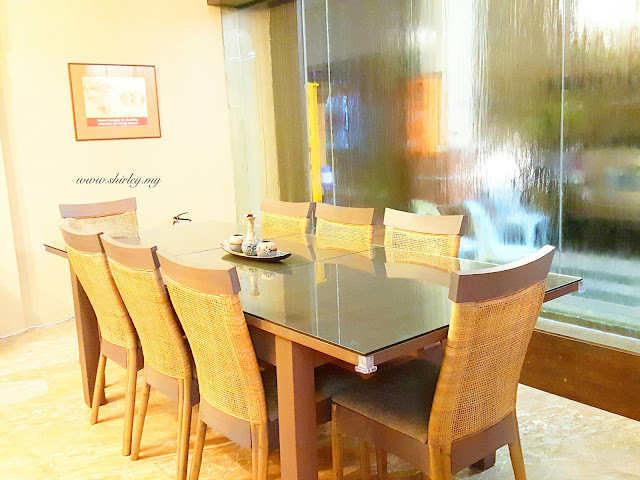 Visit www.majestyspamassagehouse.com to make reservation. Find more reviews at their facebook page.